Make sure you get your tickets to get along to support our County Champions, who won the clubs 30th County Final this year. 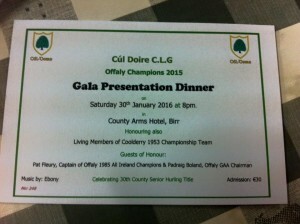 Tickets are €30 which includes dinner, music and a great nights entertainment in the County Arms Hotel, Birr. 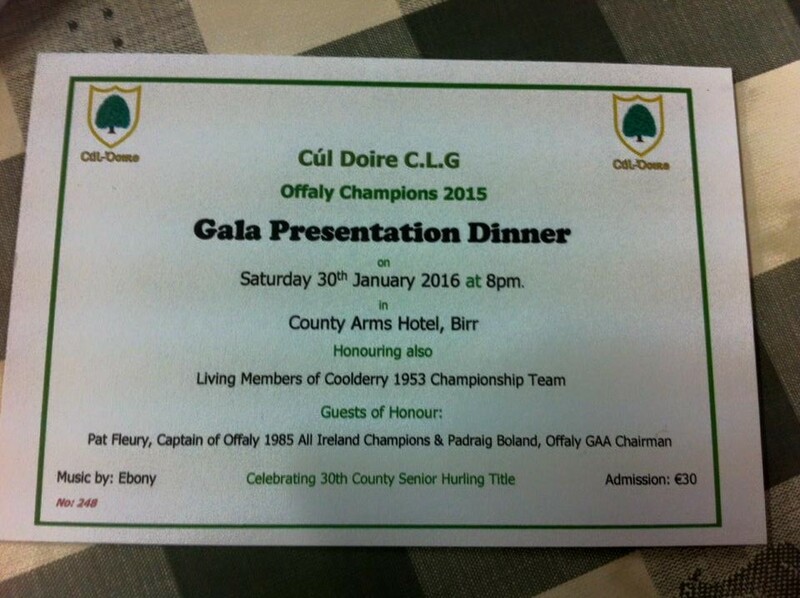 Tickets available from Mary Hanly or any Committee member. Very few clubs in Ireland have won 30 Club Championships so this team deserves to see a great turn out.